Read and comment on this Peace Corps Press Release that yesterday afternoon, the Peace Corps signed the agreement with the country of Mexico that will lead to Peace Corps volunteers serving in Mexico for the first time. It is no exaggeration to say that this is truly a historic occasion in the history of the Peace Corps. In our conversation with Director Vasquez at the NPCA reception last night, the Director said that the response to the announcement has been overwhelmingly positive and that plans are already in the works to have the first group of volunteers in Mexico in 2004. The Director also added, in this PCOL exclusive, that he is postponing his planned departure from the Peace Corps (originally scheduled for November 14) but no date has been given. The Director did not specifically say that he is tying his departure to the Peace Corps funding or the reauthorization. WASHINGTON, D.C., November 12, 2003 – Today, Peace Corps Director Gaddi H. Vasquez signed an historic agreement with the country of Mexico that will lead to Peace Corps volunteers serving in Mexico for the first time. Peace Corps Director Gaddi H. Vasquez and Jaime Parada of The National Council on Science and Technology (CONACYT) of Mexico shake hands after signing the agreement that will send volunteers to Mexico for the first time. Director Jaime Parada Avila of The National Council on Science and Technology (CONACYT) of Mexico joined Director Vasquez at a signing ceremony at the Mexican Embassy in Washington, D.C. The U.S. Ambassador to Mexico Tony Garza and the Mexican Ambassador to the U.S. Juan Jose Bremer were also there to witness the signing of the new partnership agreement. Peace Corps volunteers assigned to Mexico will work in partnership with CONACYT in the areas of information technology, small business development, and science and technology. A Peace Corps assessment team has worked closely with CONACYT to select sites and determine the best way to utilize the volunteers. Peace Corps will send its first group of approximately 15 to 20 volunteers to Mexico in 2004. 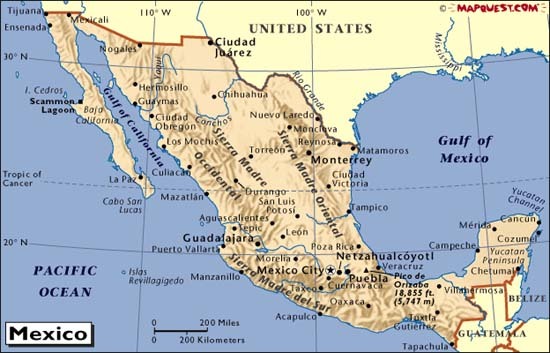 Peace Corps first began exploring the possibility of entering Mexico after U.S. President George W. Bush and Mexican President Vicente Fox announced the “Partnership for Prosperity” initiative during their summit in September 2001. Since 1961, more than 170,000 volunteers have served in the Peace Corps, working in such diverse fields as education, health and HIV/AIDS awareness and education, information technology, business development, the environment, and agriculture. Peace Corps volunteers must be U.S. citizens and at least 18 years of age. Peace Corps service is a two-year commitment.